When summer rolls around I'm absolutely terrible with skincare. My dry skin loves all the added moisture and dewiness of a good hot day and I usually just settle for a quick cleanse and a moisturizer and I'm on my way. But as the weather changes my skin is already starting to tighten and raisin up again. Back to skincare I go. 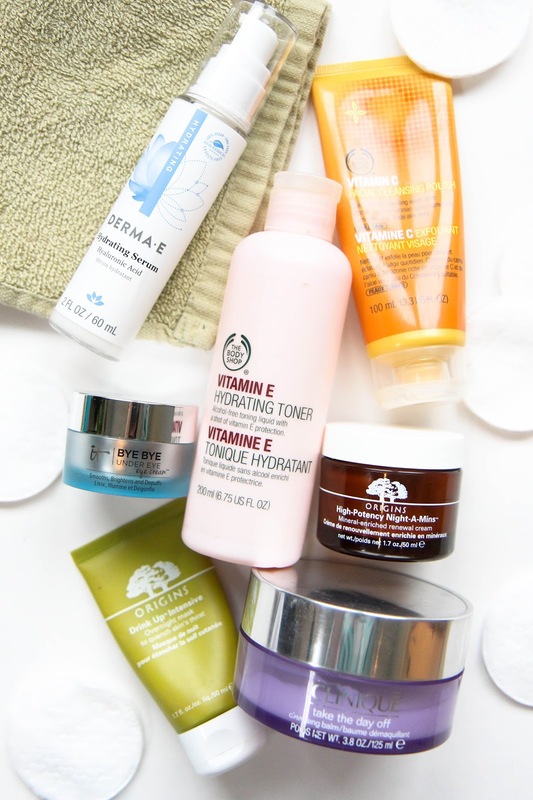 I don't like to over complicate really anything in my life, but skincare is high on the list. If my face is clean and there is some moisture put back into it, I'm a happy camper. 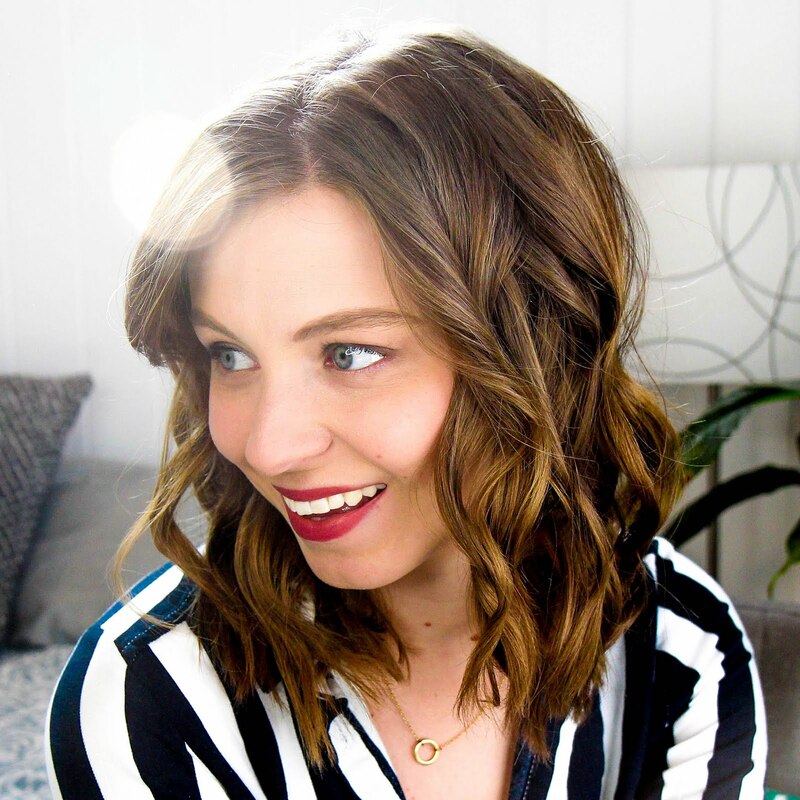 My routine hasn't changed much over the years, but I've repurchased nearly my entire routine a few times over. Ironically enough despite my lazy ways, I always double cleanse. I use Clinique's Take the Day of Cleansing Balm to really work the makeup off my face and follow up with The Body Shop's Vitamin C Cleansing Polish. If I skip one of these steps my makeup basically laughs at me as it clings to my skin. The cleansing balm removes everything while the polish cleans up and scrubs my skin. Next up is toner to remove any stubborn final bits of makeup and prime my skin for putting all the good stuff back into it. The Body Shop's Vitamin E Hydrating Toner is the only one I've used for literally years. Really shows what a bang up job I do as a beauty blogger trying new products! It's just so light on the skin, refreshing, and simple. 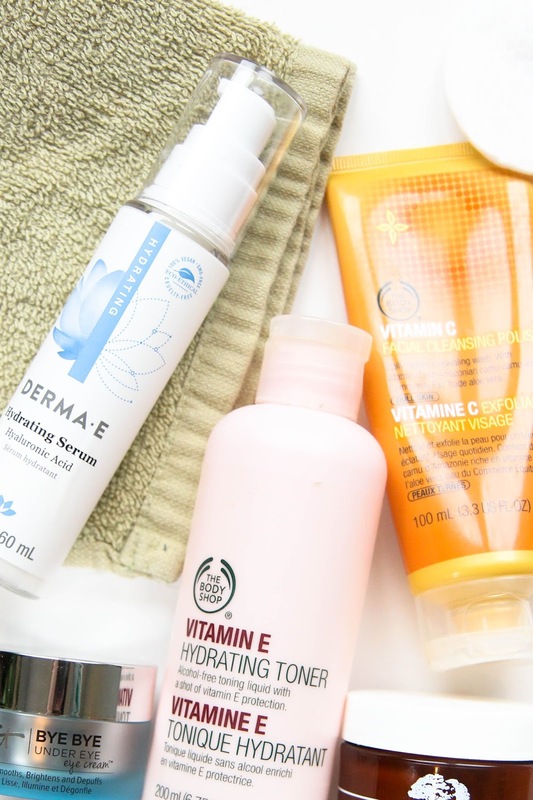 Creams are next and Derma-E's Hydrating Serum has been my go to for six months or so. A lot of serums leave an annoying film behind that makes me feel like I completely undid all the cleansing work I had just finished. This one is water based so it feels delicate on the skin while hydrating. I dab on a bit of IT Cosmetic's Bye Bye Undereye Eye Cream in the hopes to slow down aging as much as possible. It's light (are we seeing a pattern here yet? ), breathable, and sinks into the skin quickly so I can finish up and hop in bed. Depending on the need for moisture and hydration I bounce between two products for the final step. On regular ol' skincare days I use a bit of the Origins High-Potency Night-A-Mins. Thick, rich, and creamy in all the right ways it slowly absorbs into the skin as I try to avoid scrolling through Instagram before going to bed. But if things are seriously dry and painful nothing helps more than the Drink Up Intensive Overnight Mask. The next morning my skin feels brand new and full of life. It's has that gorgeous, plump "I drank my weight in water" look that I'm always going for. It's about time I started taking my skincare routine more seriously as the cold, dry weather is headed my way. I'm even considering adding it to my habit tracker in my planner, it's just that serious. 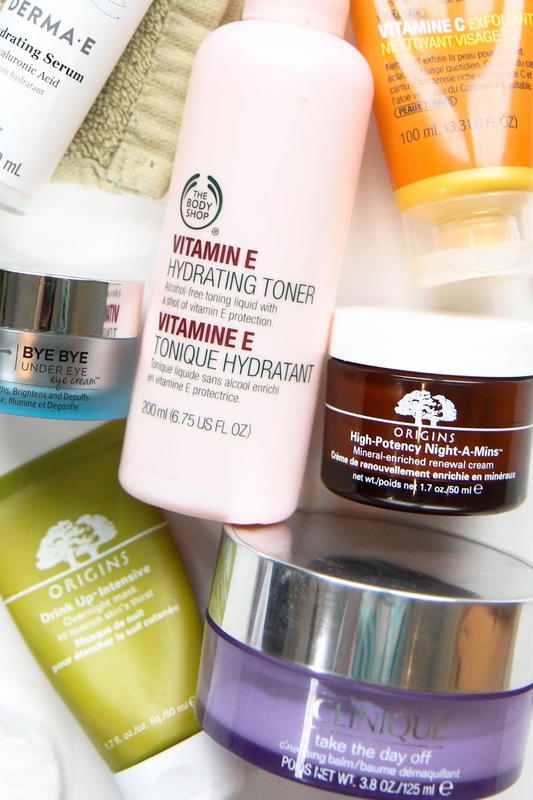 What are some of your favorite hydrating skincare products? Any recommendations of other toners I should try?